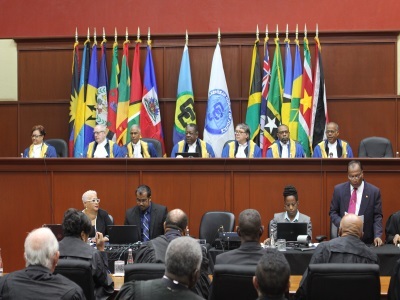 ST. JOHN’S, Antigua, May 16, CMC – Prominent regional and international jurists Wednesday praised the contributions of the outgoing President of the Caribbean Court of Justice (CCJ), Sir Dennis Byron, for his immense contribution to Caribbean and international jurisprudence. Sir Dennis, 75, who leaves the Trinidad-based CCJ on July 3, was praised during a special sitting of the Antigua and Barbuda High Court for his years of service to the region and the international community as a lawyer and a judge. “Sir Dennis, you are, you were and you will be Sir Dennis a man. Sir Dennis you touched the lives of so many persons in this country, in the region and internationally. You are truly a Caribbean man, a man who contributed not only to the development of Caribbean jurisprudence but the development of many a lawyer in the region,” Antigua and Barbuda’s Attorney general Steadroy “Cuttie” Benjamin said. He said he would always be grateful to the advice of Sir Dennis, who instilled in him the need to have proper preparation in order to prevent poor performance and this is a message he too would like to leave with the wider regional community. Chief Justice of the Eastern Caribbean Supreme Court, Dame Janice Pereira, recalled the influence that the St. Kitts-Nevis born jurist had on her professional development and that the majority of his career was spent in the Eastern Caribbean region. “He has served the region with great distinction,” she said, noting that when he went to serve as a permanent Judge of the United Nations International Criminal Tribunal for Rwanda, which is located in Tanzania, he did so again with much distinction. “President Byron has legitimately earned the respect of all his colleagues and peers as one of the greatest jurist from the CARICOM region and beyond,” she said in her message that was read out by Justice Clare Henry, of the Eastern Caribbean Supreme Court. The founding President of the Commonwealth Judicial Educational Institute and retired judge, Justice Sandra Oxner praised Sir Dennis’s “legacy to the Caribbean, the Commonwealth and the world” saying it is an impossible task to sum up the achievements of the retiring jurist. 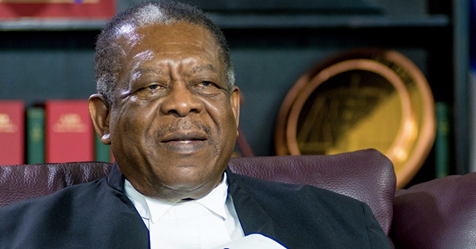 Sir Dennis was first appointed as a High Court Judge of the Eastern Caribbean Supreme Court in 1982 after a distinguished career in private practice. Subsequently, he served as Chief Justice of the Eastern Caribbean Supreme Court and President of the International Criminal Tribunal for Rwanda. 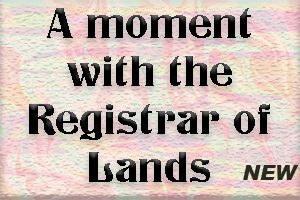 On September 1, 2011, he was sworn-in by the Governor-General of St Kitts and Nevis as the second President of the CCJ. Sir Dennis’s judicial career spans a total of 36 years throughout which time he left an indelible mark on each of the three judiciaries over which he presided both as a judge of high distinction and as a judicial reformer. In his remarks, Sir Dennis said he was “deeply touched by the kind and generous words from all the speakers” and that he hoped in the years to come “I will have opportunities to continue to engage in discussions on the many subjects which evoke passionate interests in me”. He said he was thankful to God for “a life that has already spanned more than seven decades” and that his early upbringing in the Methodist Church in St. Kitts, “has profoundly influenced my life and my desire to serve. “It has helped to shape my ideas on concepts of justice and mercy, has provided clarity in the midst of challenges and given me courage to dispense justice without fear or favour,” he said, praising also his parents whose influence “on my upbringing and early education played a critical role in preparing me for service to the region”. He recalled his years working throughout the Caribbean and “those brilliant legal submissions and argumentations, and the invaluable interaction with judicial colleagues, even when in disagreement; they were all important tutorials” for him as a judge. He said the principles of judging and judicial capacity development that he has learnt and tried to impart around the world had made him a better person and that his “judicial journey which has carried me from the bottom to the top of the Eastern Caribbean Supreme Court, and not to omit the judiciary of Grenada when it had seceded from the Eastern Caribbean Supreme Court, and the international Criminal Tribunal for Rwanda has been most remarkable. Sir Dennis, the second Caribbean national to head the CCJ, which was established in 2001 to replace the London-based Privy Council as the region’s final court, said that his tenure had been “a wonderful experience for me. “Even with all my experiences of judiciaries around the world, sitting side by side with judges from every continent on the bench of an International Court, I am extremely proud to have been part of this outstanding court with judges of the highest calibre, work ethic and integrity. “The culmination of a lifelong dream to be part of a final Caribbean court has only been eclipsed by the sheer enjoyment of working in an environment of such high intellect and quality,” he said, praising the work of his colleagues. But he said that his pleasure with the environment at the court goes well beyond his judicial colleagues, paying tribute to those who behind the scene had ensured the smooth running of the establishment. “I want to say thank you to the Caribbean man and the Caribbean woman. Over the years my engagement in discussions with our ordinary folk have made me realise that the holders of the higher echelons of power, authority and education are not the sole repositories of wisdom in our communities. “These people have helped to keep my feet on the ground and sustain my belief that this region is more advanced and deservers higher credit that we are willing to give ourselves.